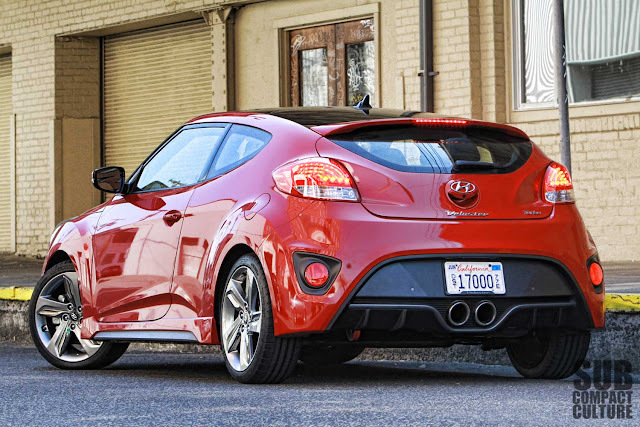 The Veloster Turbo now has enough power to match its sporty looks. Photo by Curtis Reesor. The Hyundai Veloster is a very interesting vehicle to say the least, and it looks like nothing else on the market, for sure. It’s got three doors: one on the driver’s side, like a coupe, and two on the passenger’s side, like a sedan. It’s got a very usable backseat, too and a good amount of cargo space. It looks sporty, futuristic, and avant garde. It’s definitely unique. 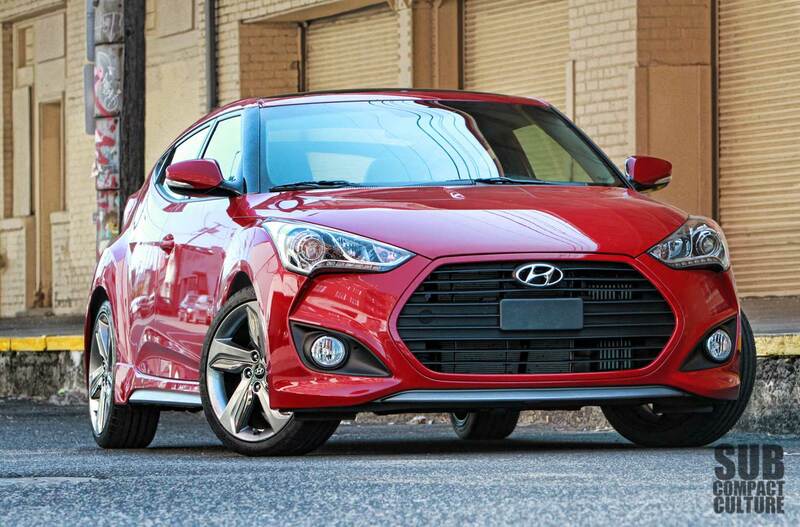 Unfortunately, the standard 1.6-liter engine—the same as found in the Hyundai Accent and Kia Rio—doesn’t match up to Veloster’s sporting looks. Frugal? Yes. Fast? Not so much. 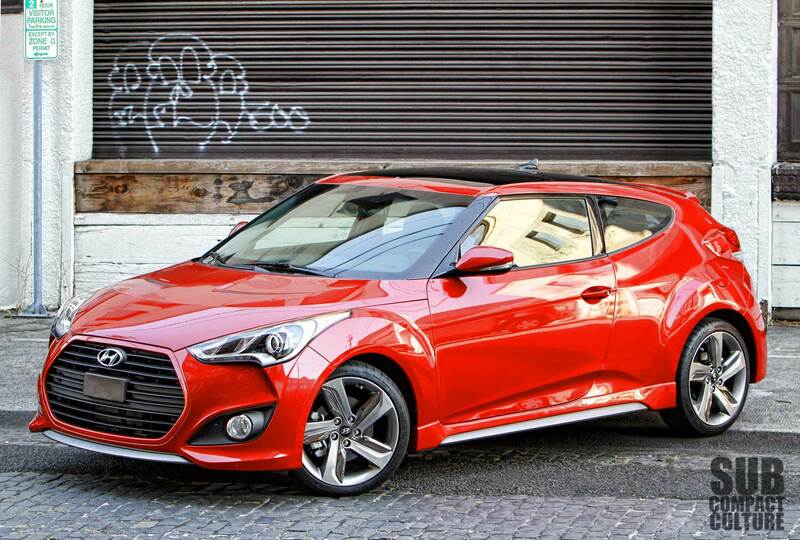 However, Hyundai also offers the Veloster with a turbocharger for 2013. It’s still powered by a direct-injected 1.6 liter mill, but the turbo brings power up to 201 hp, which is 36 horses more than the non-turbo 1.6. The turbo mill also cranks out 72 ft/lbs. more torque. And while it’s not the most refined sounding engine in the world, it does generate ample power under foot. 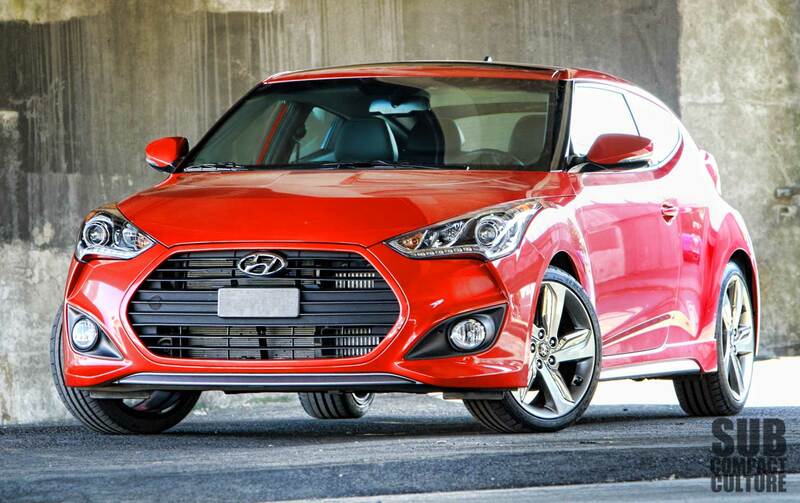 Handling is the Veloster Turbo's forte. The ride is stiff, but not uncomfortable. Photo by Curtis Reesor. 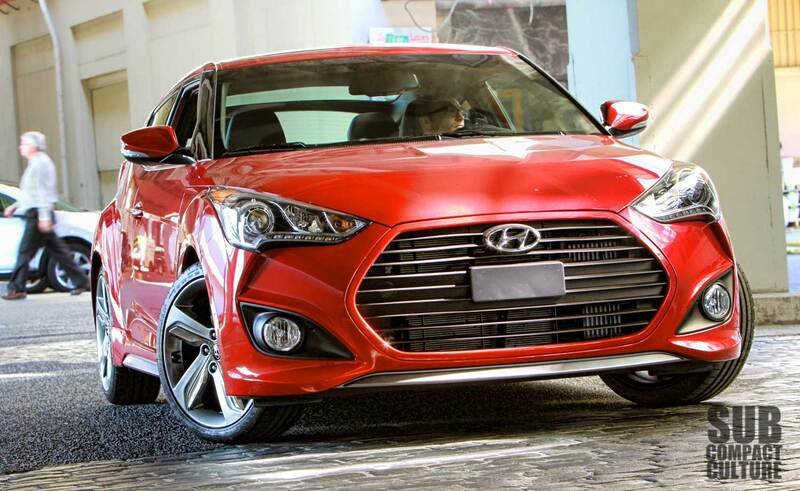 Our Boston Red Veloster Turbo came with the six-speed automatic transmission with Shiftronic manual shifting ability. No complaints about the transmission, really. It was perfectly adequate. There is a wee bit of turbo lag with this engine, but things moved pretty rapidly, even with the automatic, as the Veloster provided gusty mid-range power. As mentioned, however, it wasn’t the most refined turbo-four I’ve driven, and I would’ve loved to have had a bit more exhaust note coming from the super-cool twin-tip exhaust pipes. For me, the car’s highlight was its handling, which was better than expected. Turn-in was good and cornering was flat and controlled. It’s a pleasure to drive enthusiastically in the corners. The ride is a bit stiff, but it is a sporty car. 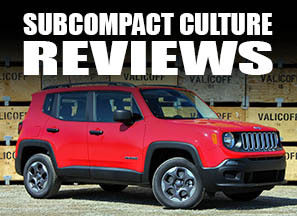 It certainly cruises easily enough on the highway, too and is comfortable enough on longer trips. Again, I just wish it had a bit more exhaust note. Speaking of exhaust, I love the exhaust treatment on the Veloster Turbo. I’m a sucker for center-exit pipes, and Hyundai executed this design perfectly. It definitely looks like it means business from the back. The rest of the vehicle looks equally sporty. The Turbo model gets a bigger grille than the non-turbo, a different front cowl, fog lights, and side skirts. This Turbo model also rides on 18” wheels and tires. At first glance, I really liked the wheels, but over time, I didn’t particularly care for the chrome treatment on the spokes. They reminded me of some sort of cheesy throwing star from a sci-fi movie or something. These wheels, like the rest of the car, is a take-it-or-leave-it style. It isn’t for everyone. What most people will agree on, however, is the car’s interior. It is impressively styled and has a great combination of sporty and comfortable. This Turbo model had leather, an impressive sound system, Blue Link service, and trip computer. It’s quite futuristic, too, and has a big, wonderful moonroof. And although much of the interior features forward styling, it still remained mostly intuitive. Plus, there’s tech aplenty, too. From all the Blue Link connectivity you’d ever want, to a big touchscreen LCD display, a reverse camera, and the list goes on. On top of it, the back seat is actually usable, and there’s enough cargo space for a couple of smaller suitcases. It’s a modern, techie wonderland inside the Veloster—a very good place to spend time, even if you’re in the back seats. Our only noteworthy concerns were the silver-painted interior grab/door handles that might scratch over time, and exterior visibility is below average. Although the car is mostly positive, the sum of the parts still isn’t as exciting as one might hope. Plus, at more than $26,000, you’re now smack-dab into Volkswagen GTI territory, which is at the top of the heap with regards to driving dynamics and upscale feel. It’s also a competitor with the MINI Cooper S, the Civic Si, and perhaps even the Fiat 500 Abarth. Compared to this Korean make, the others offer perhaps a bit more driving dynamics, but you will likely pay more to maintain the Euros; and the Civic doesn’t have a turbo (although it makes the same amount of power and has a limited slip differential). 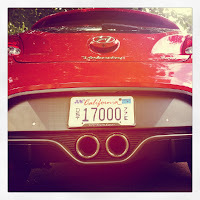 One thing the Veloster does have, however, is fuel economy. With the automatic, this car is rated at 25 city and 34 highway (29 combined) on regular gasoline—something none of the above rivals can do. 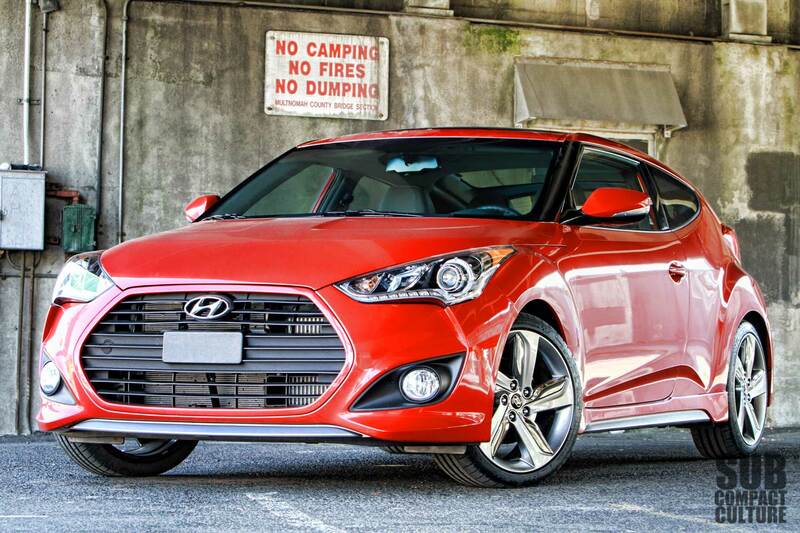 The Veloster Turbo has a unique shape, but it works. I love the center-exit exhaust treatment. Photo by Curtis Reesor. 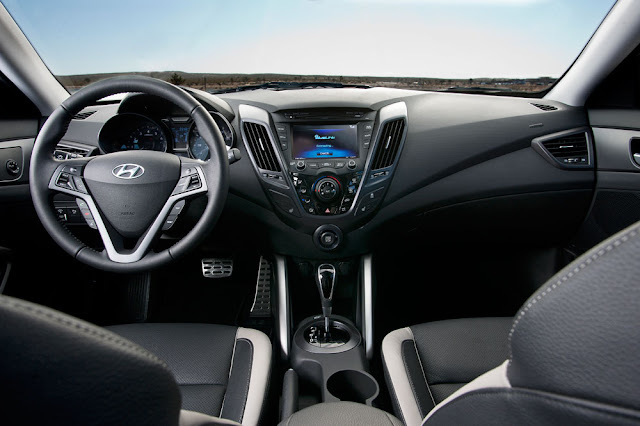 I think buyers shopping for a sporty front-drive coupe or hatchback will probably be sold on Velosters looks first, then impressed by the tech and interior, then like the power, with the fuel economy being the cherry on top. 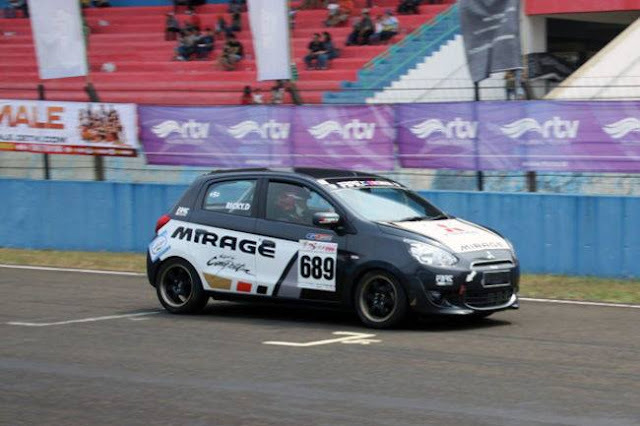 Its competition might reel in the more passionate driving enthusiasts, however. 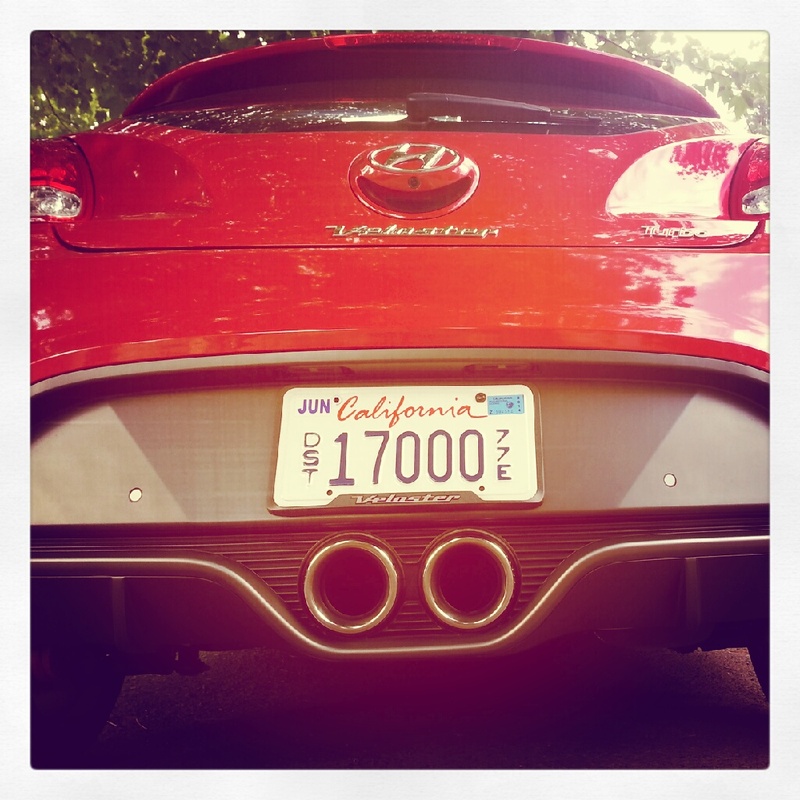 The Veloster is a good car on the verge of a great car. With a bit more exhaust note and power it could likely become excellent. I think this is a pretty neat looking car. Pretty original design. The turbo makes it even better, but the only thing lacking is the suspension. Hyundai engineers need to sort that out. All it needs is a reworked suspension & they have a hit! I love a lot of things about this car, but I loathe the gaudy grille opening. I can't wait until this gaping-fish-mouth fad is over, because a lot of otherwise-attractive cars are simply ruined by this audacious styling element. Interestingly, the RHD ones are mirror-image (passenger door on the left). Meaning that a conventional two- or four-door (plus hatch) would be plug-and-play. Take a new Megan's Stylish rear and bastardize it ... Take a Scirocco's Sleek shape and make it a low level SUV ..
Well done to Hyundai on another step up that food chain ... but if you're gonna do it.. at least make it fun when spending that much money ... And do it right the first time.